Our board-certified dermatologists treat all skin types and conditions, and specialize in non-surgical cosmetic procedures. Want to Look Younger Without the Hassle of Surgery? You’ve Come to the Right Place! The Chevy Chase Cosmetic Center is a full-service dermatology practice specializing in non-surgical cosmetic treatments and general dermatology. We are conveniently located in the Washington, DC metropolitan area in Chevy Chase and Greenbelt, Maryland. Our board-certified dermatology team can help you look younger and feel great again quickly, safely and with little to no downtime. The Dermatologists and Physician Assistants have extensive experience with a variety of FDA-approved high-tech, non-invasive treatments including Ultherapy skin tightening, Intense Pulsed Light (IPL) photorejuvenation, fractional skin resurfacing laser therapies, and liquid facelifts using cosmetic dermal fillers Juvederm and Restylane combined with wrinkle reducers Botox Cosmetic, Dysport and Xeomin. We treat skin imperfections and the signs of aging including wrinkles, sagging skin, under eye dark circles, brown age spots, excess fat, and more. The dermatology team is led by Medical Director, Dr. Eric Finzi, an accomplished artist who applies his artistic sensibility to the cosmetic dermatology practice by finely sculpting bodies and faces with non-surgical methods including Tumescent Liposuction and Fat Transfer. Dr. Finzi is also a Mohs Micrographic Surgeon and all of our dermatologists specialize in the treatment of skin cancers. Find out more about Cosmetic Dermatology, Ultherapy, Liposuction, Liquid Facelifts with Juvederm, Skin Tightening, Botox and Fillers on the Chevy Chase Cosmetic Center YouTube Channel. Liposuction is the most popular cosmetic surgical procedure in the US. The waist, flanks, abdomen, stomach, thighs, male and female breasts, arms, cankles, back, face and neck are areas commonly treated with liposuction, specifically Tumescent liposuction. 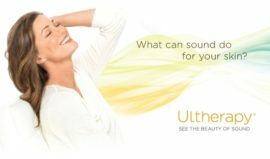 Ultherapy is all-the-buzz! A 60-minute, in-office procedure, Ultherapy stimulates the production of new, stronger collagen and counteracts the effects of time and gravity on your face and neck. The results from Ultherapy? Tighter, better-fitting skin! Dermal Filler Wrinkle Treatments like Botox & Juvederm are a quick, safe and natural-looking way to temporarily restore facial volume and fullness. Dermal filler injectable gels rebuild collagen and restoring fullness for a more youthful, healthy appearance. The Fractional Skin Resurfacing Laser is revolutionary in skin tightening & rejuvenation. Treating wrinkles, stretch marks, scars and other skin imperfections, the Resurfacing Laser allows the skin to heal faster and naturally, creating new, healthy, tighter tissue. Call Chevy Chase Cosmetic Center 240-482-2555 for an appointment in Chevy Chase or 301-345-7375 for Greenbelt today!